BJP-Shiv Sena alliance again on the brink? Mumbai, Sep 22 (IANS) The BJP-Shiv Sena alliance in Maharashtra Monday again seemed to be headed for collapse as both sides stuck to hardened positions on seat-sharing and the chief ministerial candidate and BJP leaders indicated the party was prepared to go it alone for the Oct 15 assembly poll. Bharatiya Janata Party (BJP) president Amit Shah asked party workers to gird up while BJP spokesperson Rudy Pratap Rudy said that they don’t want to break the old ties but in case the alliance with the Sena does not materialise, his party would fight the elections solo. “I appeal to all (activists) to dedicate themselves for Maharashtra elections,” Shah said in a terse tweet Monday afternoon which many interpret as possible curtains down on the longest political alliance in Indian politics. Shah’s appeal came amidst a hardening of positions by both the Bharatiya Janata Party (BJP) and the Shiv Sena on their respective stance on seat-sharing as well as the next chief ministerial candidate. Senior state leaders have reportedly urged the central leadership to intervene and make a last-ditch effort to prevent the alliance from snapping – the second time in three days when such a possibility has arisen. 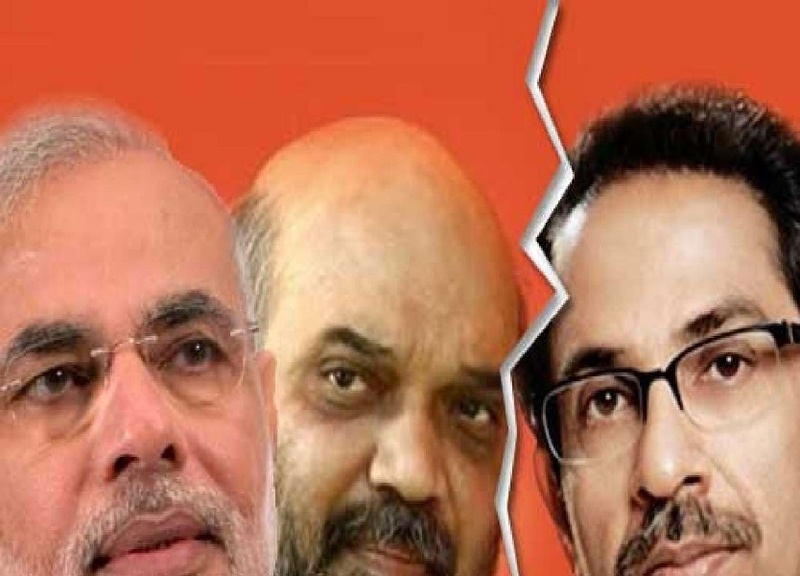 BJP sources in New Delhi meanwhile claimed that Shah had called Uddhav Thackeray and made a fresh offer to save the alliance. However, well placed sources in the Sena and ally Republican Party of India-A denied that Shah had spoken to the Shiv Sena chief. State BJP chief Devendra Fadnavis also indicated that there are no more talks scheduled on the issue between the two parties. “We are not going to hold any more discussions with Sena on this. We will decide after they respond. The ball is in their court,” he said. In New Delhi, Rudy also made it clear that the BJP has no proposal to enter into a “pre-poll or post-poll partnership with any other party”, including Nationalist Congress Party or Maharashtra Navnirman Sena, as speculated. Meanwhile, Sena spokesperson Sanjay Raut emphatically reiterated Monday that the next chief minister would be from his party. Dismayed at the prospects of the impending break-up of the ‘Grand Alliance’, other smaller partners voiced their bitter disapproval and planned to contest the elections independently. An irritated Rashtriya Samaj Paksha (RSP) chief Mahadeo Jankar told media persons that if the alliance collapsed, his party would contest a whopping 125 seats independently. Similarly, the Swabhimani Sanghatana led by Raju Shetti is likely to contest on its own and according to preliminary reports, was looking at nominating 75 candidates. Republican Party of India-A chief Ramdas Athawale said that it was imperative for the BJP-Sena to arrive at an understanding immediately, even as some party members prepared to file nominations. “There are reports that they are willing to spare just 18 seats for all the other smaller parties in the Grand Alliance. We are ready to settle for just eight or ten seats with dignity, but the alliance must not break,” Athawale said. The 25-year-old ties between the BJP-Sena have been strained on two counts – the issue of seat-sharing and the declaration of the next chief ministerial candidate. The Sena has made its best offer so far – 151 seats for itself, 119 for BJP and the rest 18 for the other smaller partners in the 288-member assembly.